You’re starting the new year off right. New year, new you. But we all know that’s only going to last at least until the end of January. Then you’ll be back eating chocolate-coated Golden Gaytime cheesecakes on a stick in no time. Tired of hitting up the same café every single weekend? Sure they know your name, your order and your favourite colour—but maybe it’s time for a change. 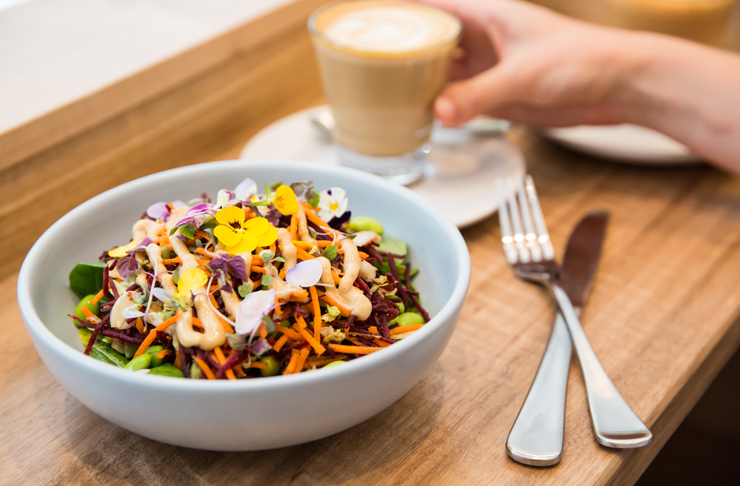 Here are 5 new Melbourne cafes you should try this year. Hash recently opened their second venue, this time leaving the rough edges of Hardware Lane and setting up in the leafy surrounds of Camberwell. Hash’s all-day breakfast menu will leave you stuffed beyond belief, but we know you’re really here for that hot chocolate. 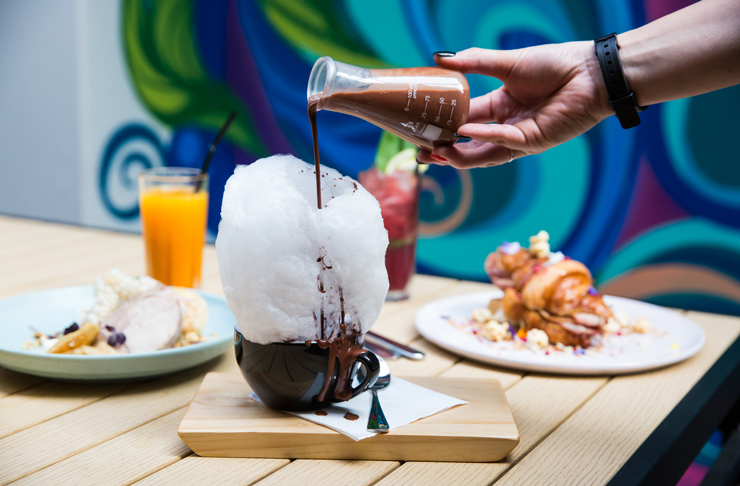 The one where they pour liquid Mörk choc over a sugar white cloud of fairy floss. Dreams are made of this. You’ll find Café Brass nestled on Church Street, below Swan, where Church Street Enoteca once stood. The beautiful interior and classic menu will keep you coming back for more after your first visit. There’s a wide array of egg dishes on the menu, which all use Inverloch Free Range Eggs, along with some classic Internationally inspired breakfast dishes like Croque Monsieur, the breakfast brioche roll, and the Belgian waffle. There is absolutely no shortage of good café options in Fitzroy, but if you’re familiar with the names Penta, Legacy, and Collective Espresso—you’re going to be very happy that Bentwood arrived in your neighbourhood. Onto the food. You’re going to want to order the Golden Gaytime panna cotta, job done. 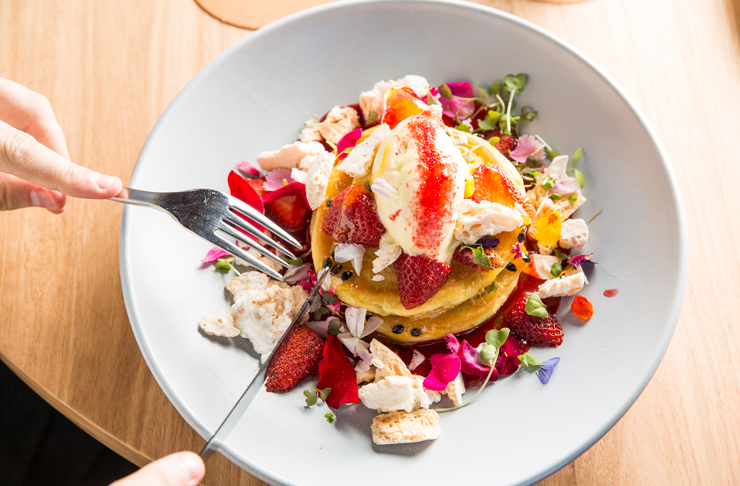 Other highlights include the hotcakes with raspberry coulis, passionfruit, and mascarpone, or on the savoury side you can’t go past the eggs benny with jalapeno hollandaise. Melbourne's been crying out for an Alice In Wonderland café. And last year we got a couple of them. Meet Down The Rabbit Hole. Down The Rabbit Hole's all-day breakfast menu features the likes of eggs benedict with Istra bacon, yuzu dust, and an unbelievable potato rosti. Gin-cured salmon served with confit shallots, and garden peas—they use local gin made by Four Pillars, so you know it’s a winner. Also worth mentioning is the TFC (Templestowe Fried Chicken), which is fried up and topped with white kimchi and chilli mayo. Industry Beans have been keeping north side punters caffeinated for many years, and now they’ve turned their attention to busy city dwellers. While you’re obviously here for coffee, the food is worth a squiz as well. Pick up a red beet bagel with a schmear of avocado, pickled daikon and edamame beans. Or reach for the Wattleseed granola bowls topped with compressed watermelon, orange mango gel and roasted pineapple foam. Looking at trying the best that Melbourne has to offer in 2018? Here are 60 dishes you should've eaten by now if you live in Melbourne.